Gain easy and efficient ground level access to your trucks from anywhere within your facility or warehouse with portable loading ramps for trucks. 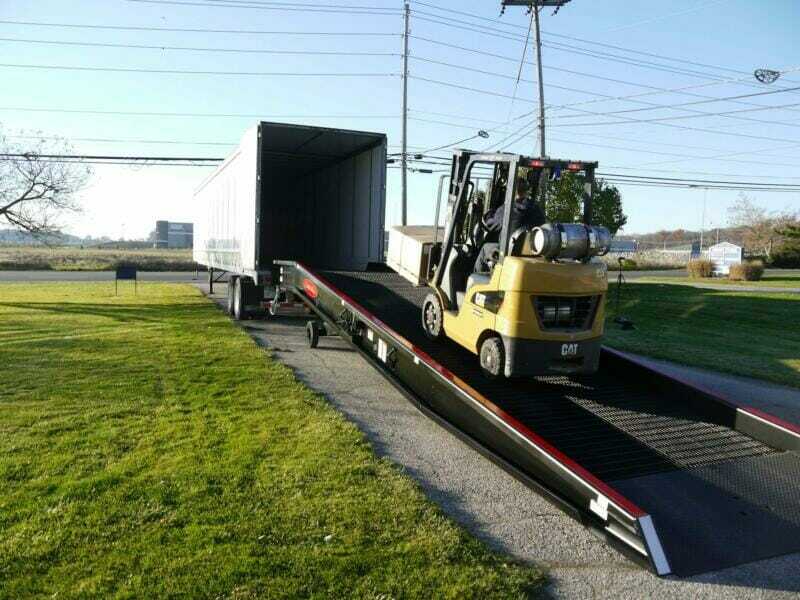 These semi-truck ramps allow you to maximize your productivity and overall capabilities for loading, unloading and material handling applications of all kinds. Copperloy manufactures a wide range of ground-to-truck ramps for industrial use with the features and specifications you’ve been looking for, including steel or aluminum construction for durability. 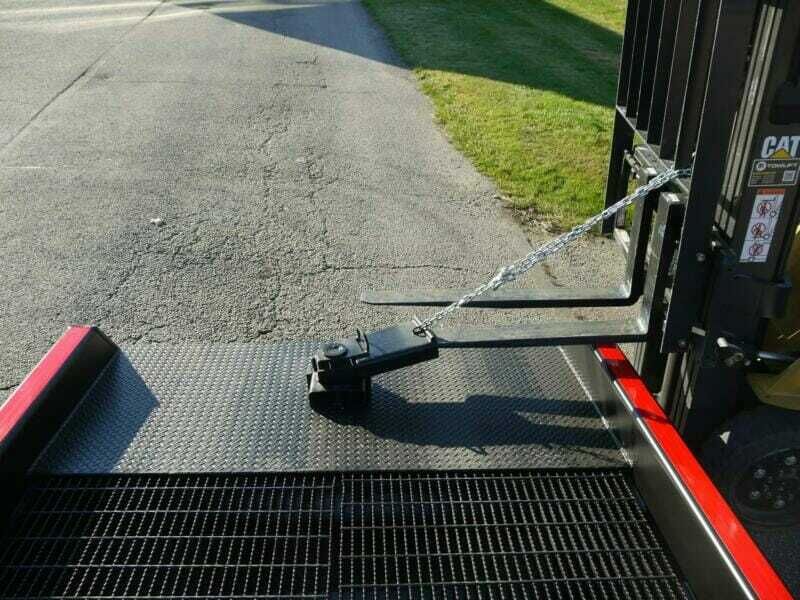 Our portable truck loading ramps are made from steel, with 15″ lips and 7″ curbs. Our 36-foot long models have height ranges from 38-65 inches, capacities from 16,000 to 35,000 pounds, with standard widths of 70 and 84, wider widths available, consult factory. We customize your warehouse truck ramps to meet your application. 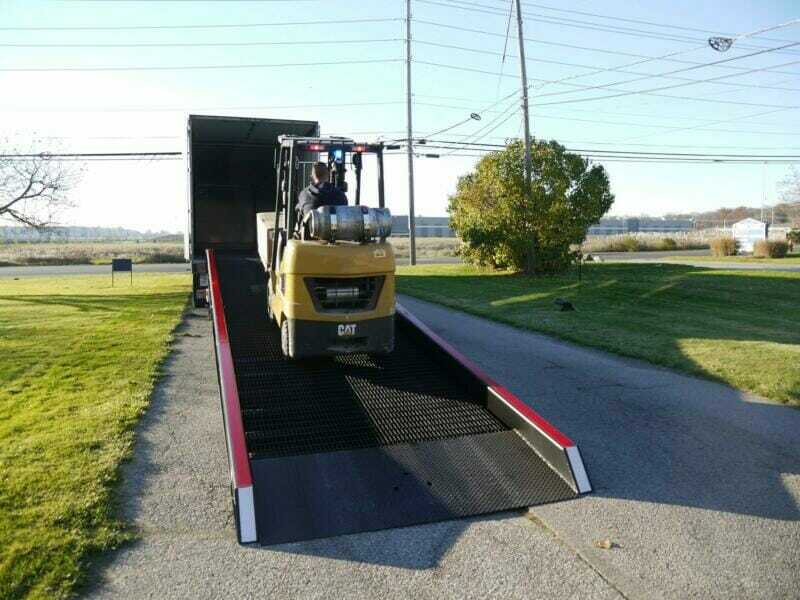 Versatility: Copperloy’s truck loading ramps are portable to allow for easy transfer and positioning. Customization: Available in a variety of widths and capacities to work with the materials you load and unload at your facility or warehouse. Safety: Keep your industrial setting safe with steel grating for traction and 7-inch-tall curbs. View our mobile yard ramp videos here and visit us on YouTube for more of our videos!